Published to accompany Nandipha Mntambo's touring Standard Bank Young Artist exhibition, this monograph documents the artist's works to date, from 2004 to 2011. Images range chronologically from work produced for graduate and post-graduate exhibitions at the Michaelis School of Fine Art through to the body of work produced for the Standard Bank show, titled Faena. The two accompanying essays are by academic Ruth Simbao (incorporating an interview with Mntambo), and writer and curator David Elliott. 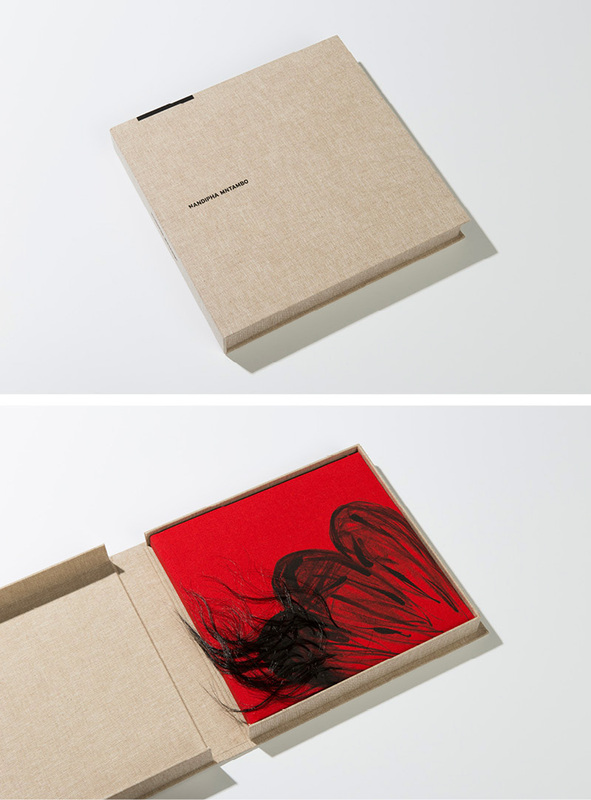 Each special edition book features an original cow hair drawing by the artist on the red linen cover (email via the Order button below to view available cover artworks). The book is signed and numbered, and presented in a linen covered box.